Have you ever imagined very productive and successful farming in Nakasongola District with average annual temperature of 22.5 °Celsius and average rainfall of 1229 mm a year? Orchids House Farm is located in the semi- Arid range lands of Nakasongola where vagaries of weather are a limiting factor towards sustainable agricultural production but the farm management team and staff have lived to demystify the thinking that you can excel in farming (crop and animal husbandry in Nakasonga. 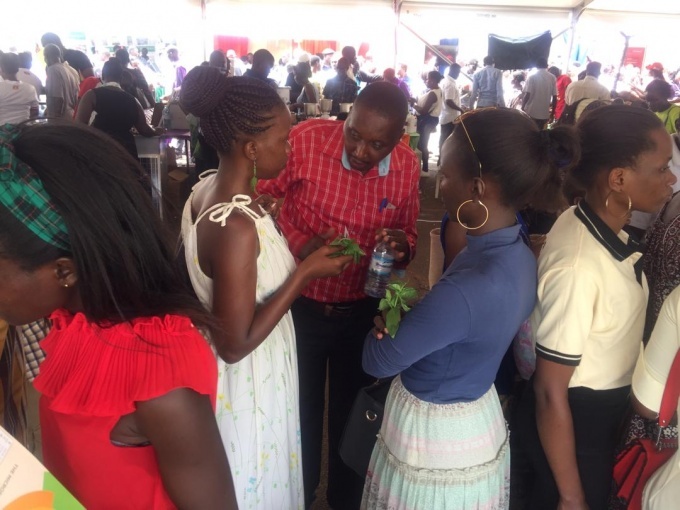 Like they are set out to do, Orchids House Farm Limited www.orchidshousefarm.ug team engaged in further educating an international population on better farming methods/techniques, through-out the weekend of Friday February 15-17, 2019. 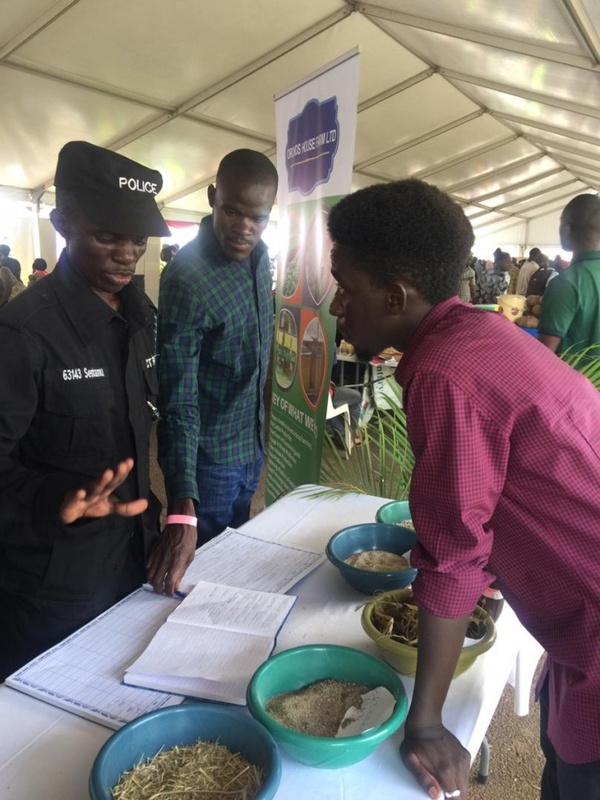 Orchids House Farm Limited joined in the Harvest Money Expo 2019 https://www.visiongroup.co.ug/hme/ held at Uganda’s Namboole National Sports Stadium engaging national and international expo participants in and exhibition, sale of genuine agricultural products, inputs and outputs but also receipt of knowledge shared during the different training sessions. During the expo, we managed to engage, educate and learn from over 500 visitors to the Orchid House Farm stall. The Harvest Money Expo is an event organized by Uganda’s Vision Group bringing together winners and high ranked farmers and intending practitioners of the same industry. 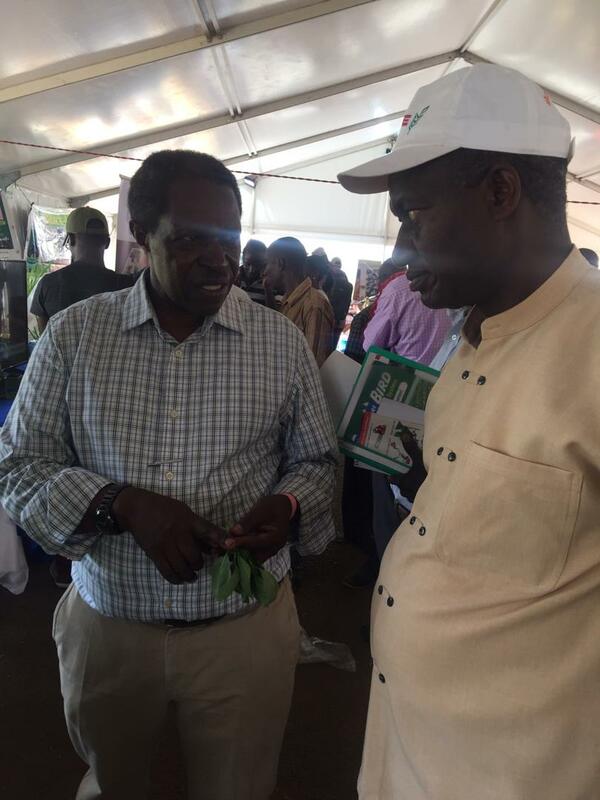 This expo is run with the goal to ensure that our economic backbone centered on agriculture is ably supported and new and productive means adapted to boost farming in Uganda through knowledge sharing and capacity building. This goal is in line with ‘Orchid House Farm’s model of the agricultural program and layout is to promote efficient resource utilization and training of students and the communities’. Orchids House Farm is located in Nakasongola north of Kampala central region of Uganda. The farm is 3.7 kilometers off Kampala-Gulu highway (126 Kilometers from Kampala city center). The farm has set out to practice a diversified approach to agriculture, generating and sharing knowledge on several agricultural sectors, including both crop and animal farming. The farm’s crop department entails vegetable production such as cabbages, spinach, sukuma wiki, green and red pepper, eggplants, onions, beetroot, and carrots. Farm management has successfully established 125 acres of mangoes and have also ventured into Basil herbs production in green houses under contract farming. ‘We are one of the leading growers and exporters of Basil herbs. 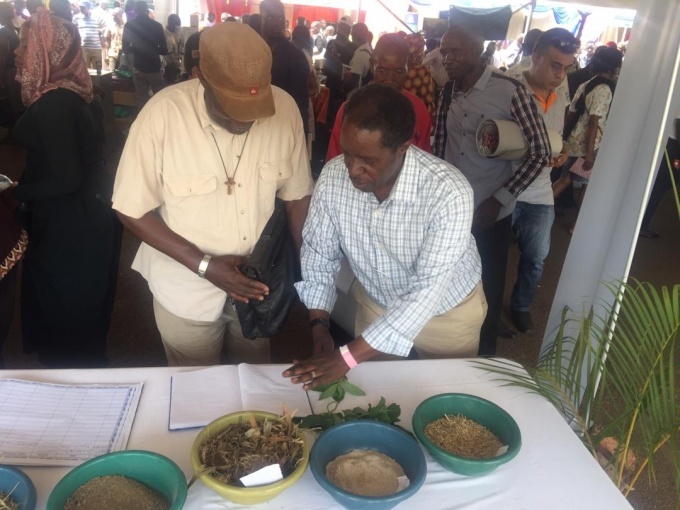 We call upon other growers to come and learn the processes there in and join us in the growing and earning from these herbs’ noted Prof. William Bazeyo, Farm Director. At Orchids House Farm, the model of the agricultural program and layout is to promote efficient resource utilization and training of students and the communities at large. Internship is an off-class hands-on program designed to bridge the gap that exists between the theoretical education system and the actual activities carried out on the farm. 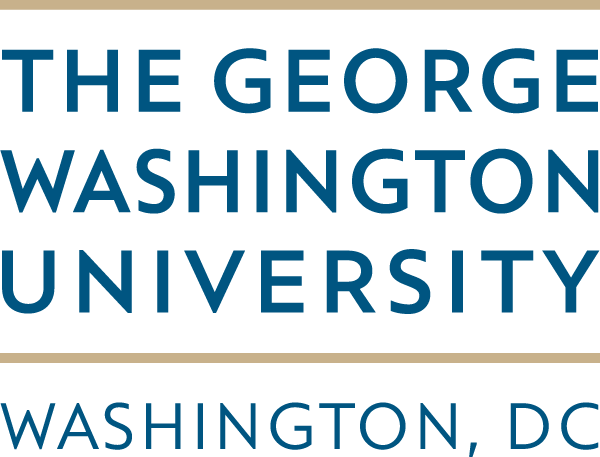 We help you to translate theory into action for better knowledge generation and sharing. Some of the agricultural experts we occasionally engage to support both the plant and animal sectors, help to train students in several activities that require exclusive expertise including; vaccination of animals, Artificial Insemination(A.I), collecting blood samples from animals, growing herbs in the green house, pruning mangoes, and construction of green houses. Green House Production (greenhouses for growing tomatoes and green and yellow pepper sold on the local Ugandan market, Basils for export to the European market-Netherlands). Breeding of free range boran cows fertilized using Artificial Insemination (A.I) only. The practice of water management through rain water harvesting and underground tanks in Nakasongola, Uganda. Thank you Prof. Bazeyo and your team for giving us the opportunity to richly benefit and learn (hands-on) from this unique and all-encompassing farm. After harnessing these skills here, I pledge to always do my best for the benefit of the communities but also myself. I left Nakasongola changed and different person. Thank you all’. ‘This being presented by Orchids House Farm is what I have been looking for. I need to fatten my bulls and earn more from sales, I will visit the farm and physically learn from you’. Imagine for me I benefitted from the students internship at Orchids House Farm Limited after training at Bukalasa Agricultural College http://www.studenthub.ug/institutions/89/bukalasa-agricultural-college. Because I exhibited good personal skills and ability to join and work with the Orchids House Farm team, I was retained and now employed. I am forever grateful to the Leadership of this farm and I pledge my best, only my best’. I am now going to intensify work on my small farm, having learnt from this stall additional skills. It is actually possible to earn from a small piece of land with even a few cattle and crops. This I have confirmed today after interacting with Orchids House Farm Professor at this expo’. ‘For me, I am going to look for some money to purchase and put up a Greenhouse on my farm. I will then use the knowledge from this Orchids House Farm to engage and grow Basil herbs to join this farm and others growing and exporting these herbs. We must fight poverty in Uganda and beyond and this is why I am resolving on this immediately’. ‘This farm, Orchids House Farm has helped demystify thoughts that one cannot farm within the dry corridors of Luweero area. Nakasongola can be dry for most of the days and months of the year, but look at how this farm has innovatively managed to rare animals and grow crops in this same area. We therefore have no excuse to avoid farming, it is possible anywhere anytime anyhow. I am glad to have interacted with the team from Orchids House Farm’. To visit and learn from this unique farm initiative, please visit www.orchidshousefarm.ug, write to info@orchidshousefarm.ug or call Timothy Asingura-+256 775 663 741, Prof. William Bazeyo-+256 752 209 987 or Harriet Adong-+256 772 470 626.